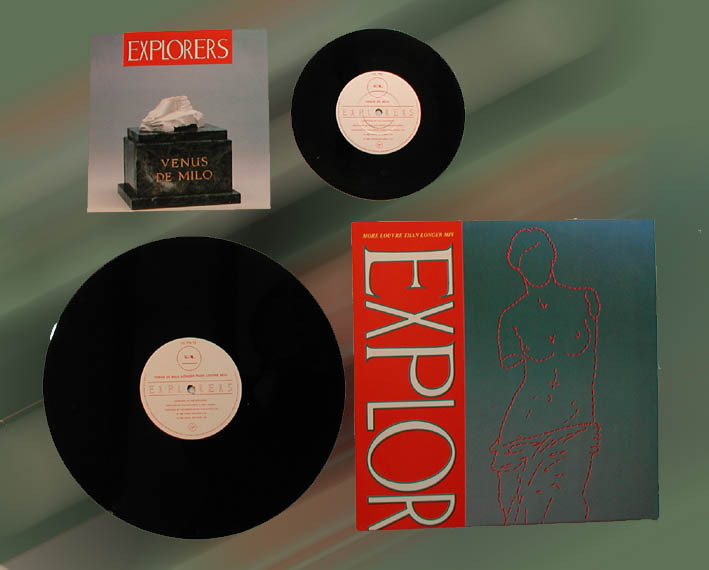 Venus De Milo was the fourth Explorers single. It was backed with a non album song "Another Lost Soul On The Run". A 12" version included the extended version of Venus De Milo. These two tracks were olso on the Manzanera Mackay LP & CD "Up In Smoke"
A live version can be heard on Live At The Camden Palace.